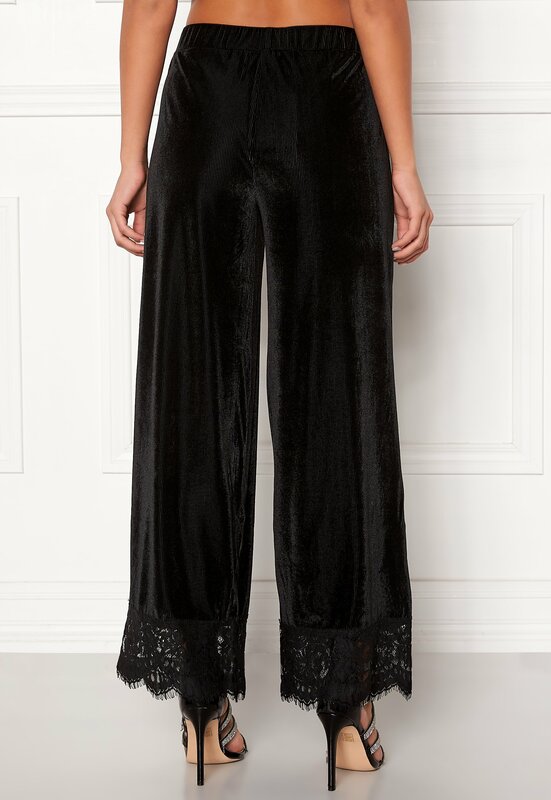 Elegant velvet pants from PIECES. 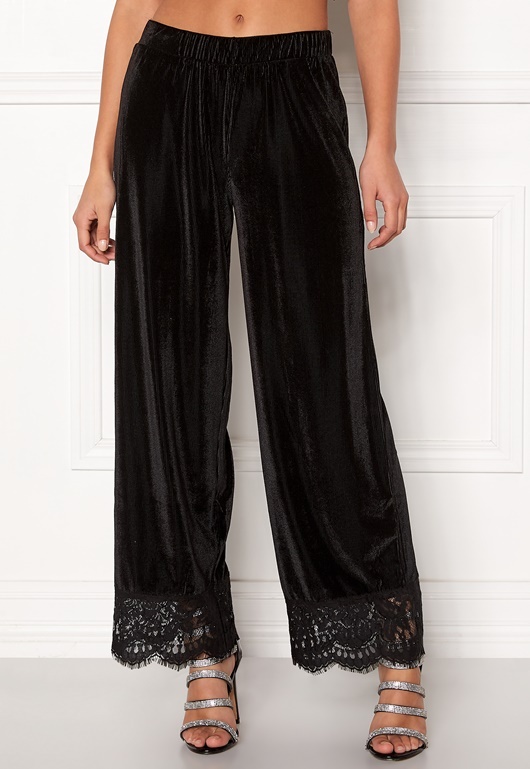 The pants have fancy lace details on the bottom hem, making them the perfect choice for festive occasions. - Stretch quality - Relaxed fit - Ribbed texture - Elastic waist - Wide, straight legs - Lace at bottom Inside leg 73 cm, front rise 26 cm, waist 68 cm in size S. The model is 170 cm tall and wears a size S. The pants can be worn as a set together with the Kera Singlet Top. Machine wash at 40 degrees (delicate wash).